DHV说~~“咔嚓”一下，你的主伞钩断了~~ - 动力伞飞行与技术交流区 - 动力伞之家 全球华人飞行交流社区 18803290016 - Powered by Discuz! All harness carabiners Parafly Automatic by Austrialpin, must not be used any more. The airworthiness instruction comes into effect with the publishing of the NFGH (Paraglider and Hanglider news). 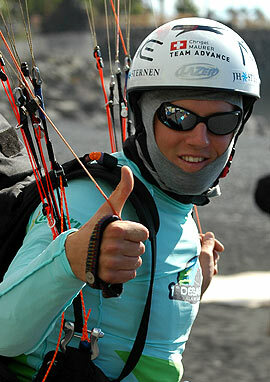 Investigations by the DHV and the company Finsterwalder GmbH have shown that many paraglider- and hangglider karabiners are not fatigue resistant below the point of actuation by gravity of their catch. 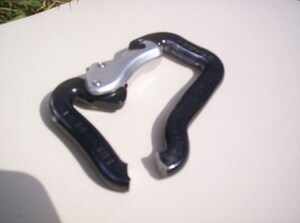 Aluminium as well as steel karabiners can be affected. Harness karabiners with conventional catch fasteners show different fatigue resistance over and below the point of actuation by gravity of their catch. The point of actuation by gravity has not been investigated by the karabiner manufacturers and is subject to an unknown tolerance range. 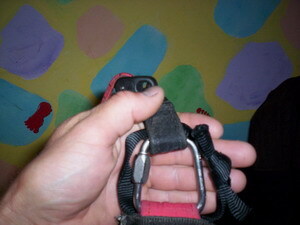 Endangered above all, are those karabiners, by which the point of actuation by gravity in the fastening catch occurs by a loading (Fk) that is larger than the fatigue strength (Fou) - reduced by 20% - established for the fatigue strength with open catch by the least favourable harness arrangement. By these karabiners, load oscillation tensions can arise on the inner bends of the karabiner, which are greater than the fatigue strength of the material. The reduction of 20% is a result of the safety coefficient of 1.2 with which the fatigue strength must be provided in order to take account of fluctuations in material and finishing. There is no warning before a breakage due to metal fatigue, as pronounced deformation does not occur, and is therefore not recognisable. A karabiner fastener is "actuated by gravity" when there is no play present in the fastener. 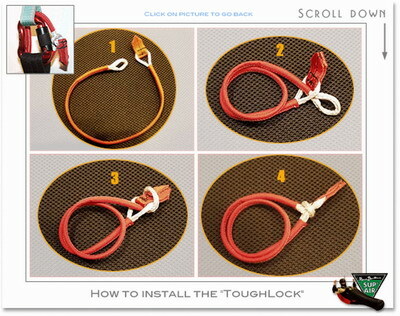 Karabiners with catch fasteners exhibit "catch play" from 0.2 mm to 2.5 mm. "Actuation by gravity" first occurs when the catch play is reduced to zero by deformation as a result of loading (Fk). The point of actuation by gravity Fk can be roughly established by every pilot by testing the size of the load at which the karabiner fastener can still be easily opened. The DHV has requested the karabiner manufacturers to establish and announce exact values for the fatigue strength Fou by March 1st 2005. This deadline has now been extended to the middle of April. Endangered karabiners as defined above are not airworthy. It is recommended to use only karabiners whose fatigue resistance has been verified. GMT+8, 2019-4-18 18:57 , Processed in 0.079820 second(s), 22 queries .